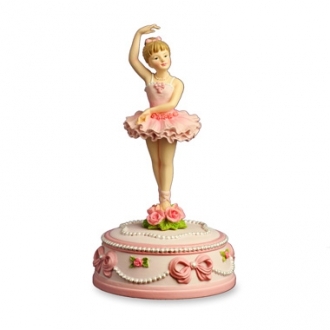 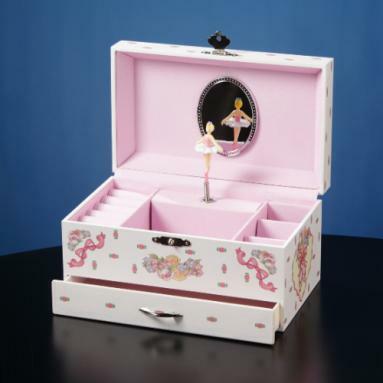 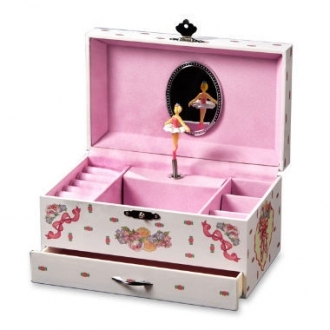 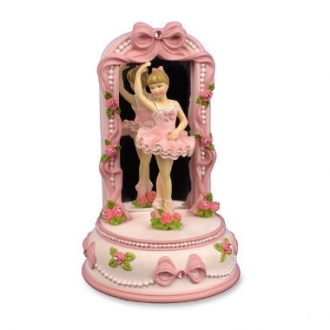 A perfect gift for that little ballerina features a twirling dancer in front of a mirror inside. 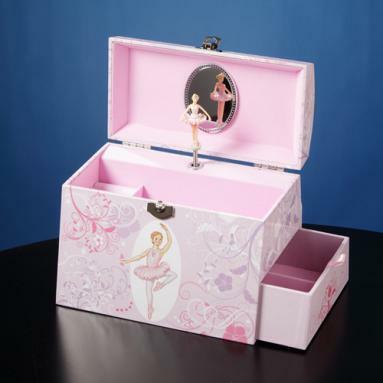 The box also features various jewelry holders. 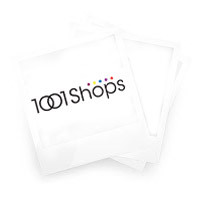 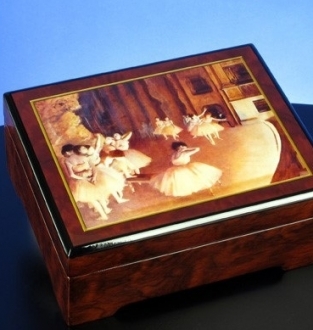 This item is sure to bring up warm classical design with an addition of a bit of luxury and style. 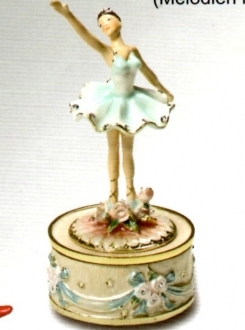 The melody used in this music box is "Dance Ballerina Dance".